The Cottage in The Wood is a small, boutique hotel with an award winning restaurant - a fantastic choice for foodie couples. 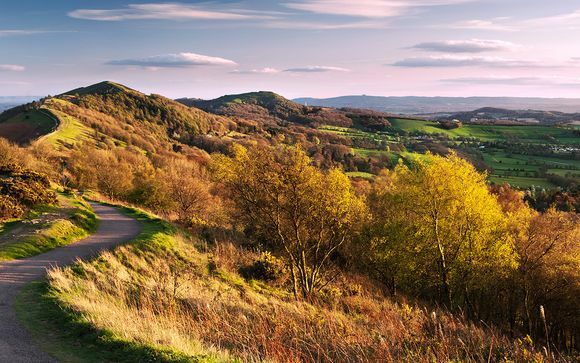 It offers sensational views across the Malvern Hills - an Area of Outstanding Natural Beauty - ideal for mountain biking, hiking and adventure activities. Our members can enjoy a welcome glass of fizz and a 3 course dinner in the acclaimed 1919 Restaurant. The Cottage in the Wood is perfect for a relaxing getaway, surrounded by the unspoiled scenery of the Malvern Hills (an Area of Outstanding Natural Beauty). J.R.R. Tolkien drew inspiration from the Malvern Hills for his books The Hobbit and The Lord of the Rings - standing at the top of the Malvern hills you can see the inspiration for ‘Middle earth’ in the English countryside to the East, ‘The Shire’ to the west and ‘Mordor’ in the distant black mountains. The surrounding area is ideal for walking, cycling, and a host of adventure activities., as well as vineyard tours or cultural and historic excursions. Why not take a day trip to admire the spa town of Great Malvern, medieval Ledbury or the regency architecture in Cheltenham? 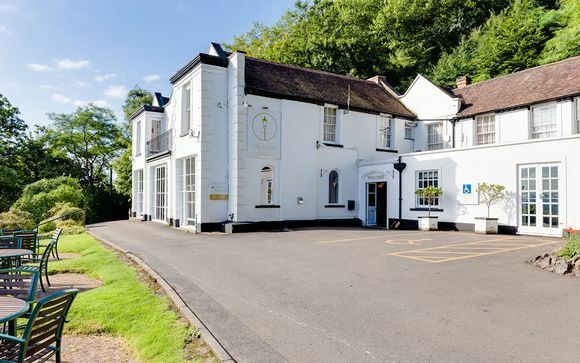 This elegant hotel, restaurant and bar offers individually styled bedrooms, an award winning restaurant and sweeping views across the Severn Valley. Bedrooms are situated in the Georgian stately home, the Coach House and the traditional English cottage. Charming original features remain in tact, whilst elegant contemporary decor lends a luxe touch. An ideal choice for food lovers, the award winning restaurant offers a real taste of its surroundings on its seasonal menu. Please note: Some services may incur additional charges, payable locally. 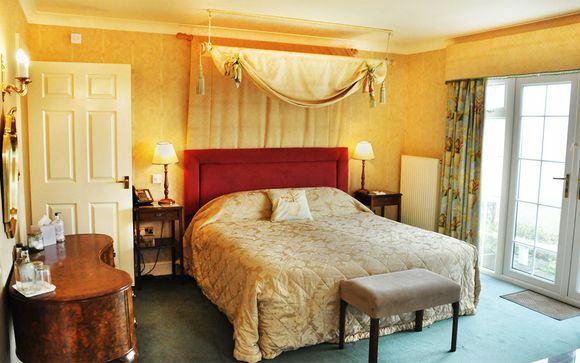 All Deluxe Rooms are spacious and comfortable, with panoramic Cotswolds views. All have a king-sized double bed (twin available on request) and a modern en suite bathroom with a shower over the bath. Some rooms have a terrace or small balcony. A limited number of pet friendly rooms are available - be sure to request on booking if you want to bring your pet. Breakfast is served in the beautiful dining room with an indulgent continental selection as well as guest’s choice from the a la carte menu, where options range from a traditional Full English to avocado with poached eggs. 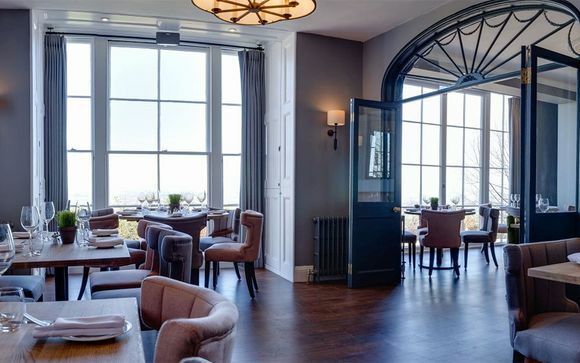 1919 Restaurant has won numerous awards for its stunning gourmet cuisine, served with panoramic Cotswolds views. Guests can expect modern British cuisine, locally sourced wherever possible. Afternoon Tea and picnics for your day out walking are also available on request. Please note: Booking is required for the restaurant. Please be sure to mention any food allergies or special diets when booking. The nearest train station is Great Malvern, which is 4.5 km from The Cottage in the Wood 3*.